Burundian washed, naturals and honeys are on their way. Oh yes, and some really good ones too. We were there in end of May to visit our producer, Salum Ramadhan, and to cup. Already then the coffees for this season were cupping very well, and much better than last year at that time of year. The washed coffees are super complex, clean and intense. The naturals have improved a lot over the years, both in terms of flavors, brightness and level of ferment, but even more so with a much lower potato ratio. He’s also doing small amounts of honey coffees, that definitely is very exciting. Salum have 4 washing stations, Buziraguhindwa, Mbirizi, Shembati and Sehe. He’s obviously separating the coffees by washing station, but even more so very often by Colin (hillside). 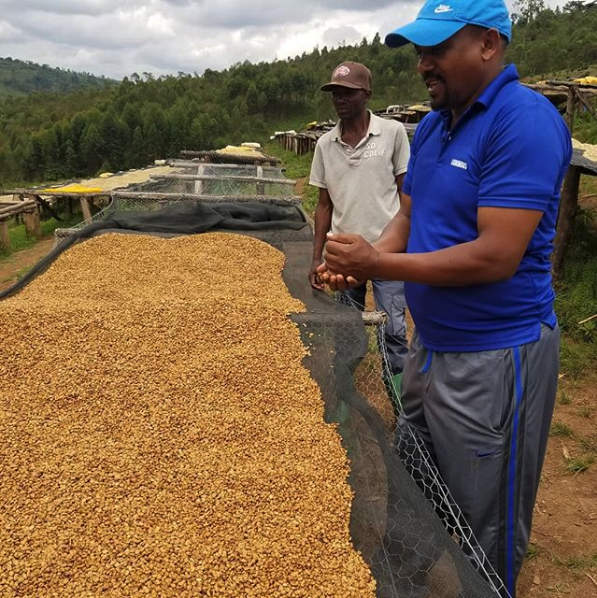 So a coffee can typically be named “Mbirizi – Nyabihanga” that means the coffee is grown by small farmers in the Nyabihanga hillside, processed at Mbirizi washing station. 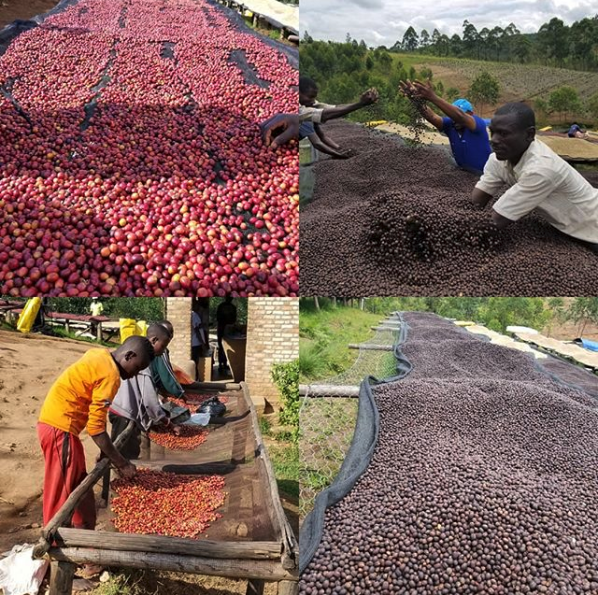 Salum produces naturals in Burundi by doing a lot of cherry sorting, dry it in a very thin layer the first 2-3 days before building it up towards the end of the drying process. Pictures from Mbirizi. Many of the growers are organized in what he calls associations in the different hillsides. He’s actively working with many of them to increase both production and quality. 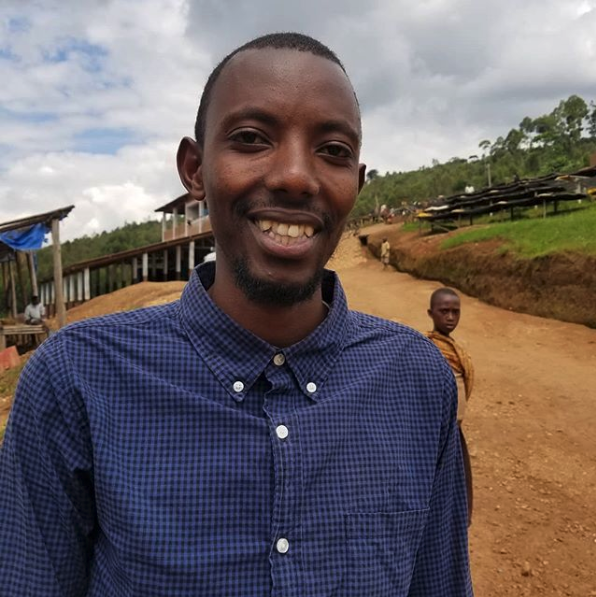 He is also in general paying higher prices per kilo cherry than the minimum to give incentives to deliver good coffees and have enough supply. The general level of premiums to the growers will depend on the volumes in the season. This year it is a larger crop, and now he pays 100-200 BIF per kilo cherry for most cherries, but he can also pay up to 300 BIF more for certain qualities and programs. According to Salum he’s also paying some dividend back to them after the season. Besides this he have programs to support the farmers with cows and goats. This is to help on their household, but also to give them access to fertilizer. Most of the coffees in the area is organic by default. Salum is mainly doing what he calls double fermentation. The farmers are soaking the cherries to skim of the floaters. The cherries are hand sorted. They get a premium payment for what they refer to as A quality, and then a lower price for B quality. The coffees are weighed and each producer get the volumes registered on a card at the reception area. The coffees goes in to a hopper, and from the hopper it goes through a syphon tank with water, where the remaining floaters are removed. The coffees are pulped on a traditional McKinnon pulper and the parchment get sorted by density. The denser beans A1 goes in a separate fermentation tank. The coffees are dry fermented overnight without any water added. The next day, after 8-10 hours, the coffees are moved to another tank with clean water. Again it sits there overnight, or until ready. They will jump in and “stomp” the parchment in the tank to clean it properly before it goes in to the grading channels. The coffees will be graded by density in the channel, only the densest ones, called “Haute de Gamme” will be sold as the highest qualities. The parchment goes under shade to be handpicked, while still wet. It is a lot of defects that’s easier to detect while the parchment is still wet. This stage is crucial to reduce amount of potato. 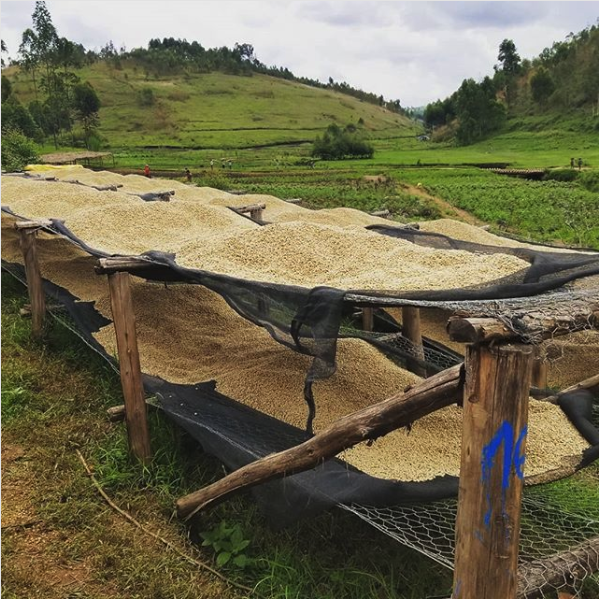 Most coffees will then be dried under shade for a few days before it is moved out on drying beds in the sun. Some coffees are also 100% shade dried. They continue to sort the parchment while it is dried to maximize the quality. The ripe cherry is then spread out on tables in the sun in a single layer. They allocate a lot of staff to do extensive sorting to only have healthy, ripe and perfect cherries remaining. They dry it in a single layer the first 2-4 days, depending on the climate. When they start going in to the raisin stage they slowly build up the layers to extend the drying time. Cherries are constantly moved on the tables. The drying normally takes 20-30 days, depending on the weather. The cherries are sorted by hand. They get a premium payment for what they refer to as A quality, and then a lower price for B quality. The coffees sits in a tank over night without any water added. There are still loads of mucilage left in the morning when they normally bring it under shade to start the drying process. They will dry it under shade in medium layers for the first 3-5 days before they move it out in the sun. The color on the parchment normally gets pretty red. They sun dry it in medium layers until finished, normally 20-25 days depending on the weather. These drying beds at Shembati works great for alternating between sun and shade.